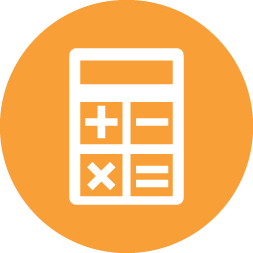 Use our bill calculator and learn how Moulton Niguel maintains the lowest average bill in South Orange County! Moulton Niguel Water District continues to deliver the lowest average combined water and wastewater bill in South Orange County. We constantly strive to control costs and make prudent investments to provide the highest level of service and value to our customers. Beginning February 1, 2019, Moulton Niguel will begin sending bills with new water, recycled water, and wastewater rates for 2019. 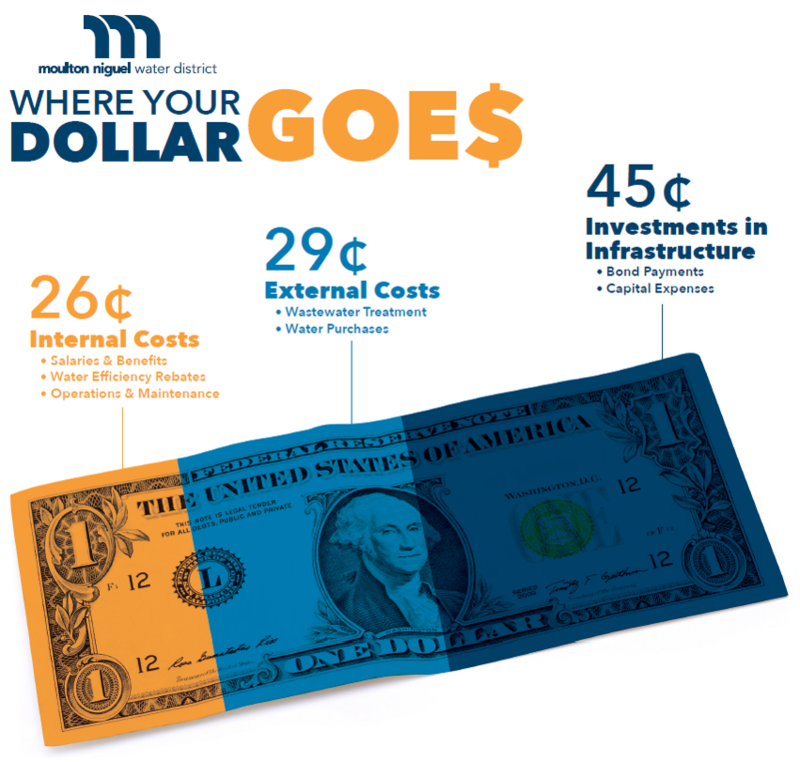 Adopted by Moulton Niguel’s Board of Directors in December 2017, the rate adjustments are necessary to maintain our commitment to a high level of reliable service to you. How do I calculate my water budget? 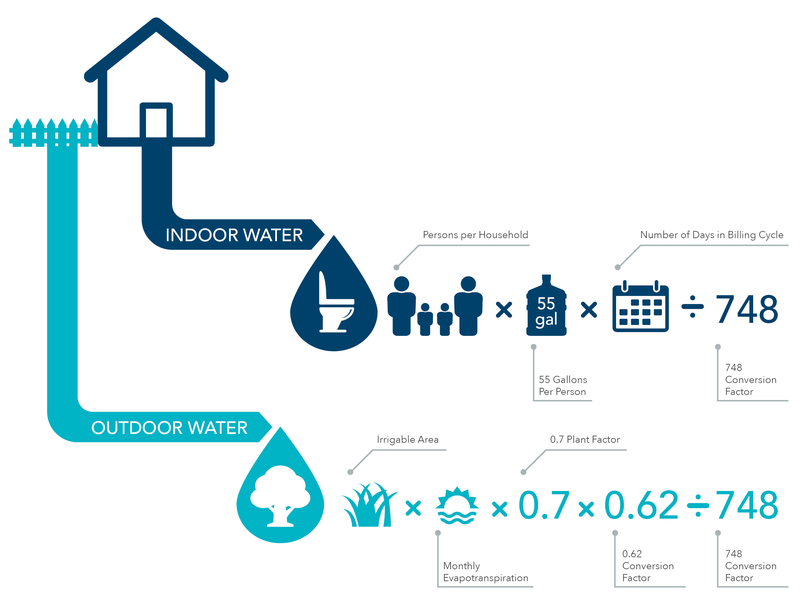 Total Household water budget = Indoor water budget + Outdoor water budget. All water used by a residential or multi-family customer within his or her calculated indoor water budget is billed at the Tier 1 rate and outdoor water budget is billed at the Tier 2 rate. Total water budget = Irrigable area (square footage per parcel) x Evapotranspiration x 1.0 plant factor x 0.62 / 748 (conversion factor to calculate budget in HCF). All water used by a public spaces irrigation customer within his or her calculated outdoor water budget is billed at the Tier 1 rate. Total water budget = Irrigable area (square footage per parcel) x Evapotranspiration x 0.8 plant factor x 0.62 / 748 (conversion factor to calculate budget in HCF). All water used by a recycled water customer within his or her calculated outdoor water budget is billed at the Tier 1 rate. Total water budget = Irrigable area (square footage per parcel) x Evapotranspiration x 0.7 plant factor x 0.62 / 748 (conversion factor to calculate budget in HCF). All water used by an irrigation customer within his or her calculated outdoor water budget is billed at the Tier 1 rate. Total water budget = Calculated as a three-year rolling average of daily water use for the respective billing cycle. All water used by a commercial customer within his or her calculated water budget is billed at the Tier 1 rate. You can use the bill calculator app to see how changes in your water usage may affect your monthly bill. For more details of the approved changes and annual rate schedules, please see our 2017 Notice of Public Hearing. A fixed monthly service charge representing the share of the District’s fixed costs associated with providing ongoing wastewater service to your property. A per-person charge representing the share of variable costs associated with providing wastewater service to a household of your size to accurately capture the wastewater treatment cost increases from SOCWA. A fixed monthly service charge that is designed to recover a significant portion of the District’s fixed costs (e.g. facility repairs and maintenance, meter reading, billing, customer service costs) and is established based on the size of the water meter serving your property. A variable volumetric water consumption charge, which is based on the number of units of water you use (one unit of water is equal to one hundred cubic feet (HCF), or 748 gallons). Each billing unit of water you use is grouped into a tier based on your individualized water budget, with higher rates assessed for usage in excess of your budget. To see how the changes may impact you, try our interactive bill calculator app.